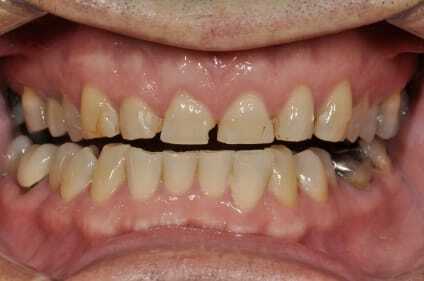 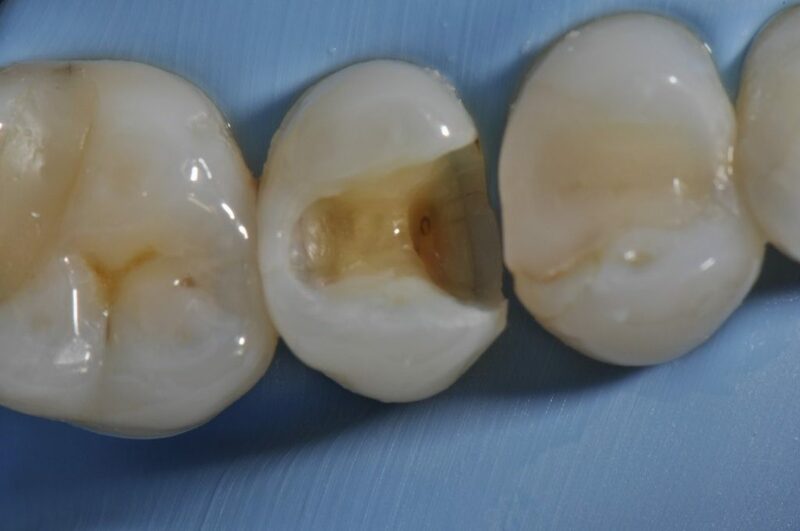 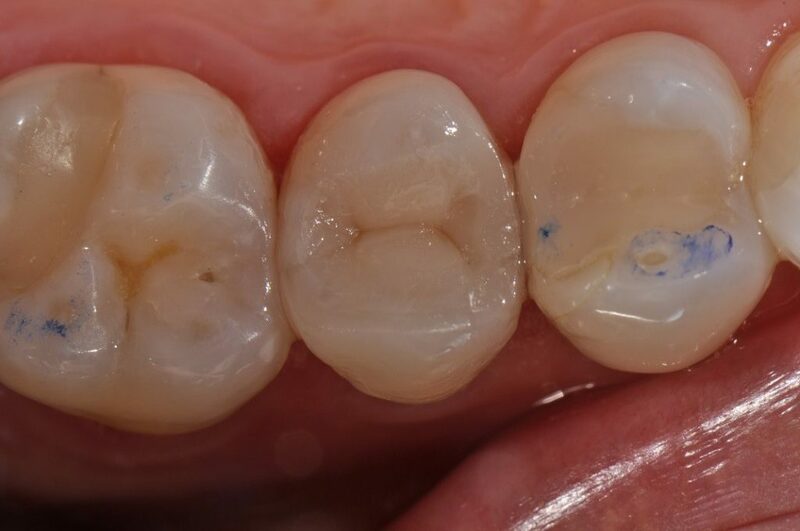 Tooth 15 suffered from a cracked isthmus and deep recurrent caries along with biting sensitivity on the restoration. 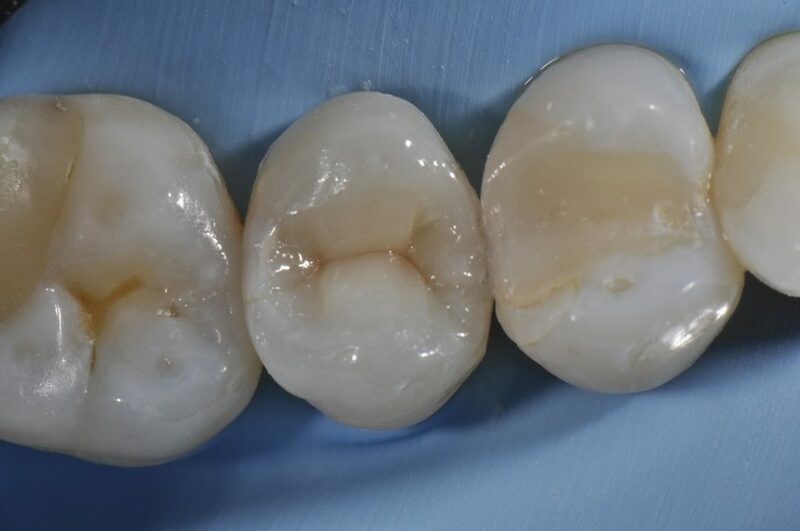 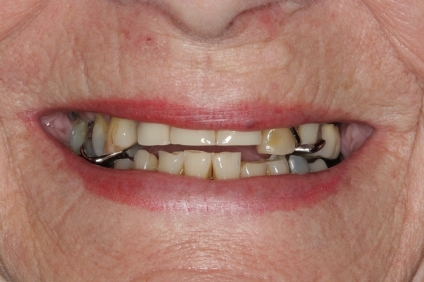 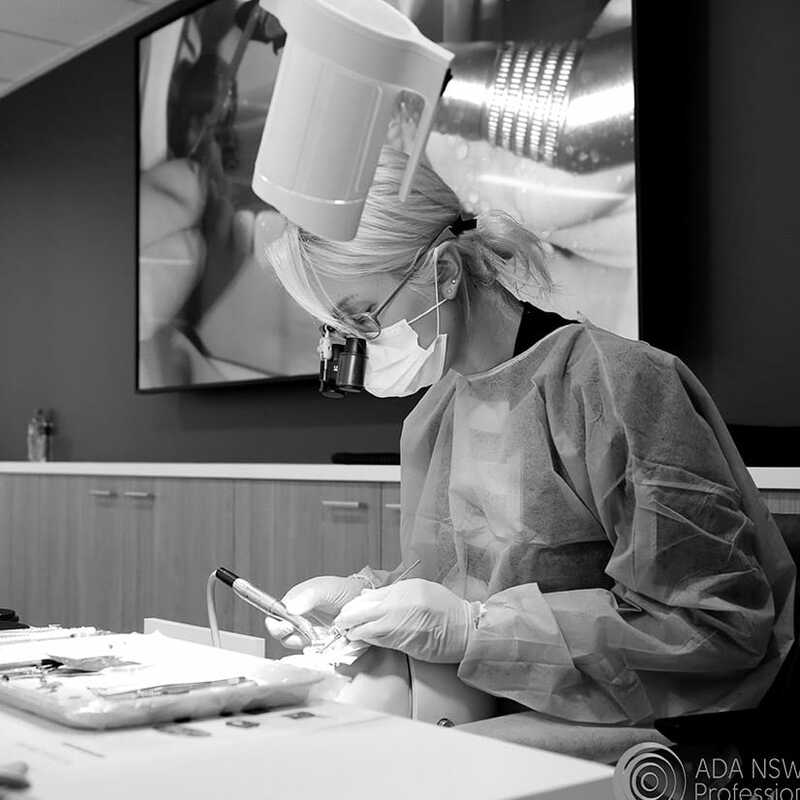 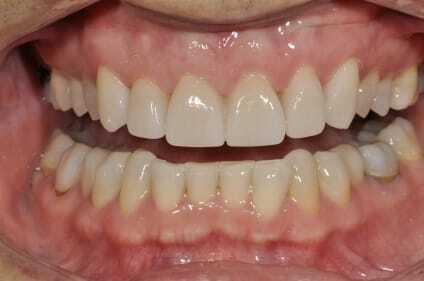 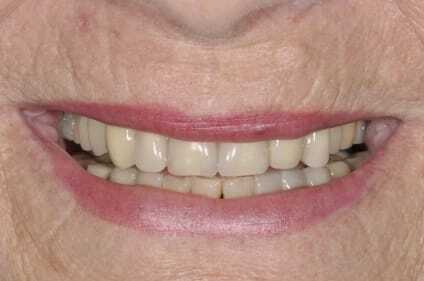 The Garrison Compositight 3D Fusion was utilized to reconstruct a firm, anatomic contact. 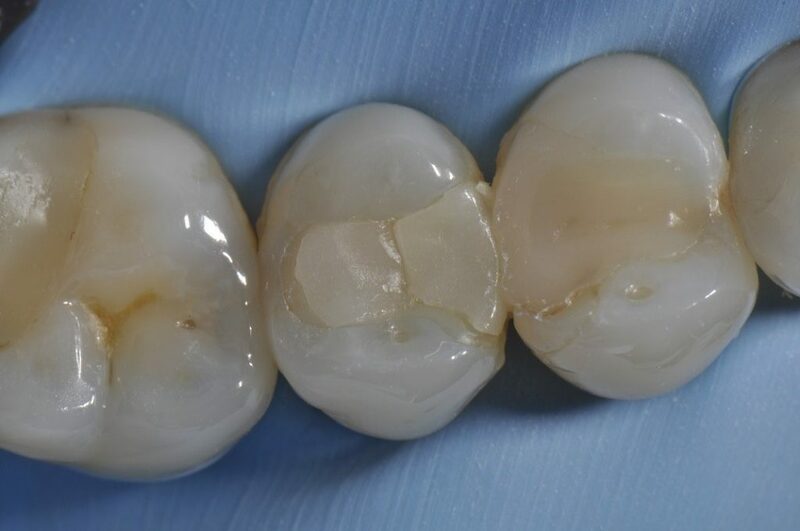 A single shade of the OG Supercomposite, Voco Grandio SO was used in a single A2 shade (compressive strength: 439MPa, flexural strength 187MPa) to full contour.